The Championship Play-Offs get underway on Friday when Derby County host Fulham in the live televised match at 7.45pm. Read the match predictions to find out why the football betting tip is Derby and Fulham to draw at Pride Park. Fulham are favourites to land the final promotion place after a barnstorming finish to the season that saw them narrowly miss out on an automatic spot. Derby stand between Slavisa Jokanovic’s side and a win-or-bust trip to Wembley later this month. Derby manager Gary Rowett must wait on a fitness test on Marcus Olsson who injured his knee in the first half of the 4-1 victory over Barnsley on Sunday. Matej Vydra substituted in midfield and is on standby if needed. David Nugent came on for Cameron Jerome in the second half but despite getting on the score sheet may have to start on the bench again on Friday. Matt Targett returned from injury to make the Fulham starting lineup at St Andrews but was replaced by Aboubakar Kamara at half time, leaving his participation on Friday in doubt. Floyd Ayite is available for selection after missing the last three games but Sheyi Ojo could miss out as he struggles to recover from his knock. 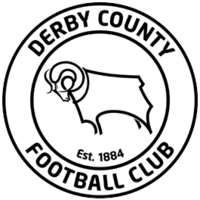 Derby looked like they might have blown their chances of reaching the play-offs with three successive defeats in April. But, Rowett was able to rally his side who finished with two wins and draw for the last three matches to keep alive the dream of returning to the top flight. The final run included a 3-1 win at home to Cardiff and a 1-1 draw at Aston Villa. The 4-1 win at home to Barnsley on the final day of the regular season sets them up nicely for a good show in the play-offs. Fulham’s remarkable unbeaten run of 19 Championship games came to an end when losing 3-1 at Birmingham on Sunday. It was an uncharacteristic display of defending for a Fulham side that had only conceded two in the previous seven games. 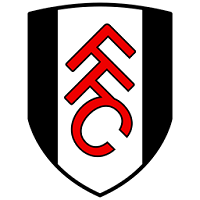 Fulham can bounce back from Sunday’s defeat but will find it hard against Derby who have been impressive in their two most recent home games. Compare match odds for Derby v Fulham. Select from the drop down menu to compare odds for Both Teams To Score, Over/Under and Half Time/Full Time markets. Get the best odds for Derby v Fulham and improve your betting results. Open a new account with online bookmakers and get free bets. Bet on Derby v Fulham and receive a free bet or get a free bet on Derby v Fulham.